I started the new year with a bang - a photo shoot at least with Carmen Lee. This photo set was a combination of Christmas and Valentine's Day - shot in Carmen's home with hair and makeup also by the talented, Carmen Lee. If you follow along on facebook you've most likely seen these images (some of my favorites) but I must refrain from showing them all so I may submit them to magazines! I will be published this year! As usual, my shoot with Carmen was a blast. From picking out sets and outfits to cutting up with Carmen and James - a 4ish hour shoot was the best time ever! I can't wait for my next one though it'll probably be after the wedding. I'm hopeful for a summertime shoot not to worry though Carmen is already making plans for a spring time shoot. Here are a few more of my favorites. 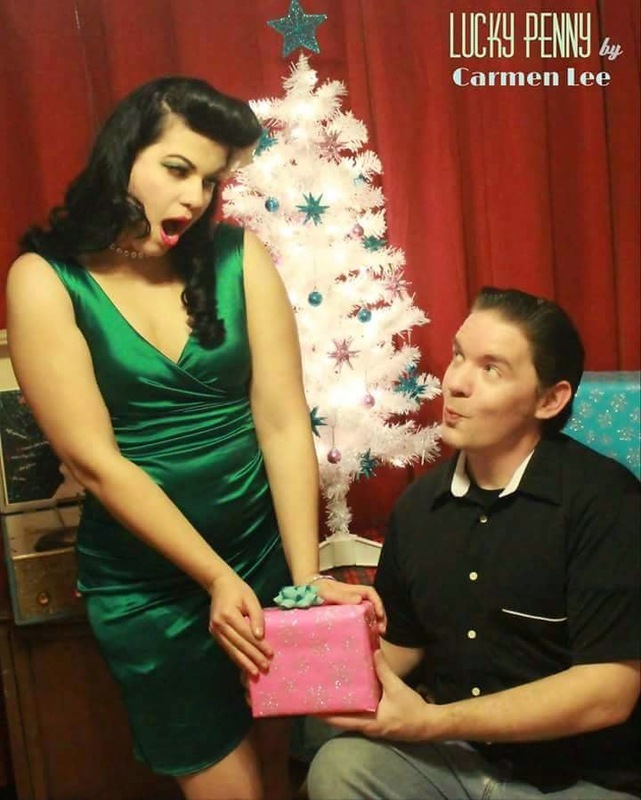 Photographer: Lucky Penny MUAH: Carmen Lee Dress: Pinup Girl Clothing Add'l Model: James! I hope you enjoyed the pictures as much as I enjoyed doing them! Interested in booking with Lucky Penny? Check out her facebook page for upcoming bookings. Thoughts or comments? Let me know!